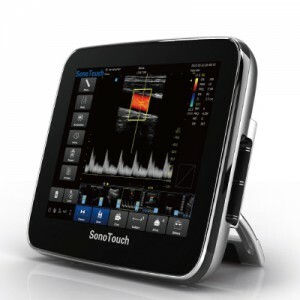 Of course the use of ultrasound imaging is a vital part of human medicine, but it’s also one of the most important tools for veterinarians. 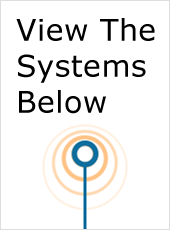 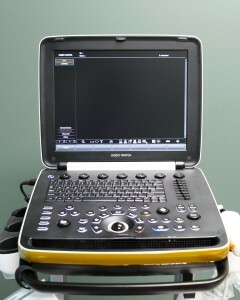 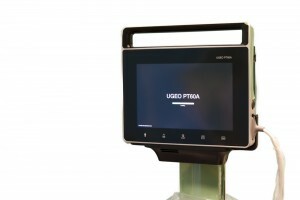 UsedUltrasound.com has a huge inventory of veterinary ultrasound machines. 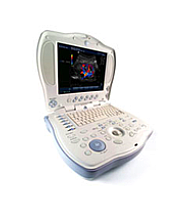 From small animals to farm animals to specialized areas like racehorses, there is tremendous demand for veterinary ultrasound services. 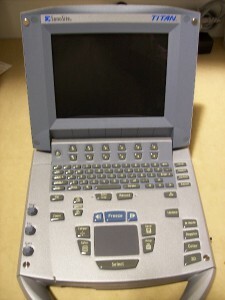 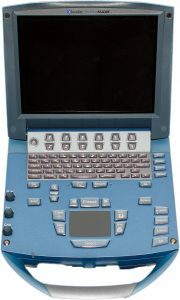 Although the machines used by veterinarians for animal ultrasounds are generally the same models used for humans, some models are better adapted for veterinary uses, like the GE LOGIQ Book XP and Fukuda Denshi UF-850XTD. 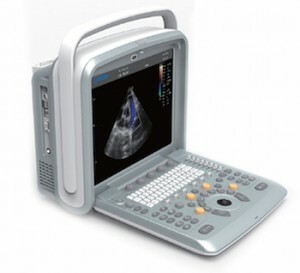 Both of those models, and every other model sold by UsedUltrasound.com, come with a 100% satisfaction guarantee that pledges you will be happy with your purchase or you can return it for a full refund. 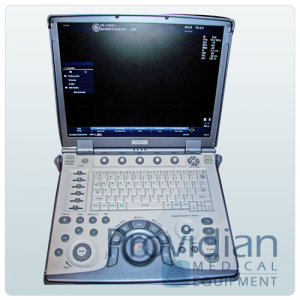 But since all of our ultrasound systems are professionally reconditioned, tested and inspected, you can rest assured your machine will work just as well as one that is brand new. 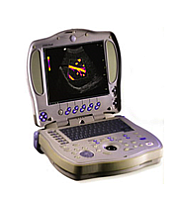 Veterinary ultrasound imaging can involve anything from examining a child’s pet hamster to looking at the leg of a million-dollar racehorse. 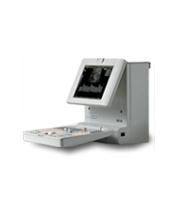 Of course most uses will fall somewhere in between, and the possible uses of animal ultrasound machines are too numerous to list. 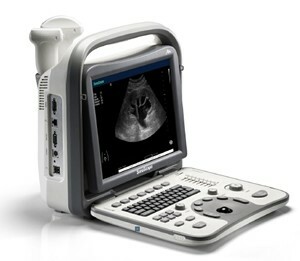 And because ultrasound imaging has become so widespread in human medicine, animal owners expect to have the same technology available when their horse, cow, dog or cat needs veterinary care. 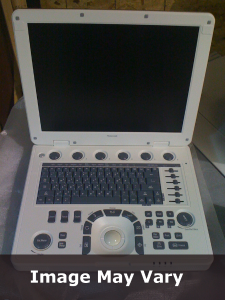 If you are searching for the best selection of pre-owned ultrasound machines, then look no further than UsedUltrasound.com. 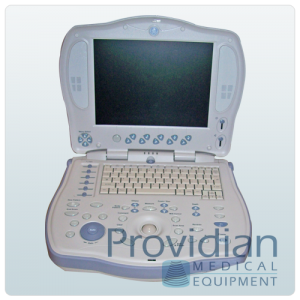 We have a large inventory of quality refurbished ultrasound systems that are thoroughly inspected and tested, and we sell them at the lowest possible prices. 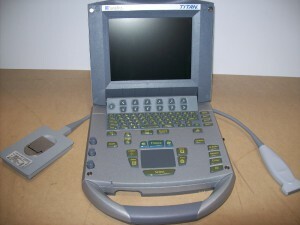 If you are looking for the best price on ultrasound probes and transducers for your veterinary practice, you can find them in our inventory of pre-owned ultrasound probes, transducers and accessories. 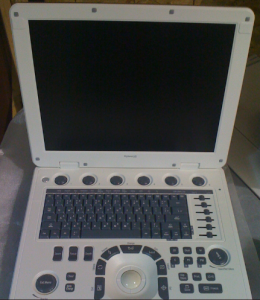 We have the best selection and lowest prices on parts for a variety of ultrasound systems.